Prospective Democratic gubernatorial candidate J.B. Pritzker slammed President Donald Trump Thursday for stripping federal protections that allowed transgender students to use school bathrooms and locker rooms matching their gender identities, but his idea for a protest raised some eyebrows. 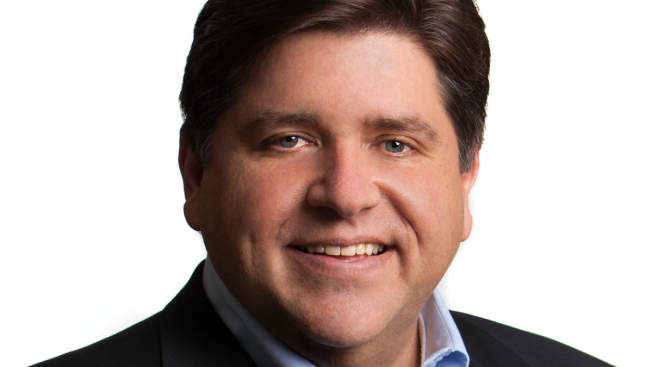 “As a protest against Trump’s rescinding protections for trans kids, everyone should use the other gender’s bathroom today,” Pritzker tweeted alongside the hashtag #protecttranskids. The tweet garnered dozens of responses, some in support of Trump's action, others telling Pritzker that his protest was a "bad idea." One of the people responding to Pritzker was state Representative Will Guzzardi (D-39), who tweeted "No disrespect @JBPritzker but it's actually about precisely *not* that. We just want to let kids use their own gender's bathroom." Pritzker responded that he agreed with Guzzardi, adding "A protest is about standing with transgender kids and their right to be and live who they are," to which Guzzardi, who supports the federal guidelines, said the idea "suggests that we support ppl going into opposite-gender bathrooms, which plays right into transphobic rhetoric." Pritzker, the 109th richest person in the US, later walked back his proposal, claiming he "was not being literal." "But I think today and every day we should be standing up for all kids," he tweeted alongside the hashtag #ResistTrump. Pritzker’s cousin, philanthropist Jennifer N. Pritzker, is a trans woman whose foundation donated $2 million to a Canadian university last year for transgender studies, according to the Chicago Tribune. In a separate tweet, Pritzker called Trump "disgraceful," pledging his support for "trans kids everywhere." "We have your back," he tweeted. Earlier this month, the Chicagoan announced that he’s "seriously considering" running for Illinois governor in 2018. “We need a new leader with a record of getting results, who wakes up every day thinking about improving the lives of working families and people across Illinois,” he added. Pritzker’s announcement came shortly after fellow Chicago Democrat Chris Kennedy declared his candidacy in the race. Kennedy is the second high-profile Democrat to throw his hat in the ring after Ald. Ameya Pawar declared his candidacy in January.